The item of package included 2 bundles of flower(4pcs flowers). A lifelike artificial flower housed in an elegant, modern plastic planter. Ideal for flower arrangements, potted plants, water bottles, home decoration, etc. Available Color:Purple, Pink, Light Yellow, Pale Orange. 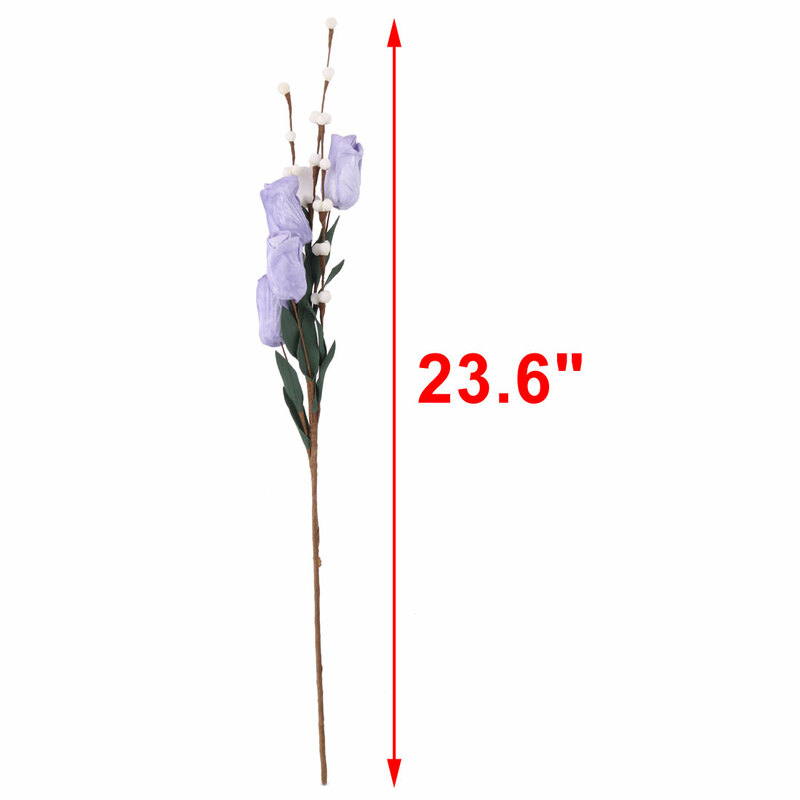 3.Because of the way of insert the flowers are different, there might be some difference of size, please allow 2-3cm error. Add more sunshine and greenery to your office, room, kitchen, dining room, and any other place. An excellent way to bring natural-greenery into your home without any of the maintenance or mess.